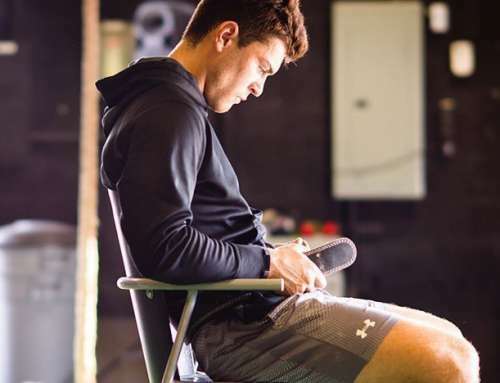 Whether you are an athlete trying to improve your performance, or a coach looking to make better athletes, these 6 tips will get you well on your way. Strength is the foundation. It helps to grow the potential limit of every other athletic component (speed, endurance and power). Here’s an analogy. Think of your athletic potential as a mountain. At the base of your mountain is maximum strength. The bigger the base of your mountain (the higher your maximum strength) the higher the peak it can support (athletic potential). This is true to a point, but very few athletes get to this point unless properly trained. Relative strength in particular is very important in sports. This is strength in relation to your body weight. A high strength to body weight ratio is usually a formula for a fast athlete. With regards to athletic performance, your lower body is your base. There is a saying that the legs feed the wolf. Your legs both produce and absorb forces in sport. Unless you are an arm wrestler, it is paramount that you train your lower body. Strength training will also increase your durability in your particular sport. Your muscles, bones and tendons WILL get stronger, dramatically decreasing your risk of injury. A stronger body helps to protect you against the forces your body produces when you run, cut, jump and push, and protects you from forces produced onto you from your blood thirsty opponents. This is paramount in sports like hockey, football and rugby (pretty much any contact sport). Being stronger will also increase your ability to dish out the punishment as well. If you have ever watched slow motion replays in any sports, or even played a sport, you will know that you can get caught in some pretty awkward positions. Having not only the strength, but flexibility to handle these awkward positions will help to lower your chance of injury. Training your muscles in a full range of motion allows your muscles to be strong within their full range rather than just a few degrees. Training in a full range of motion will also help to prevent weight room injuries as your muscle bellies will be allowed to contract and lengthen fully. If you consistently fail to put your muscles through a full range of motion as you train them, they will become short and tight, increasing your risk of injury as you progress. Training in a full range of motion will mean that you will use less weight than if you were doing partial range of motion training. That’s okay. The benefits of full range of motion far out weight the hit your ego will take. Your joints will thank you in the long run, so check your ego at the door. This sounds silly I know, but if you want to get good at sports, you should be playing sports. Nothing will get you better at a sport like practicing the sport itself. There is evidence that playing multiple sports during childhood and adolescence is more effective than single-sport specialization in developing successful athletes. The American Journal of Sports Medicine (ACSM) recommends that children wait at least until the age of 10 before specializing in a sport. You will also want to take advantage of your off season. 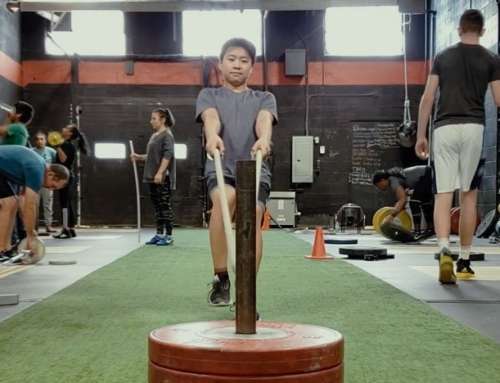 Not only is the off season important for getting stronger and faster (the non-skill specific parts of your sport) but it is also a great opportunity to work on specific skill development for your sport. There are too many athletes that will go their whole off season not doing anything at all and wonder why they haven’t improved in performance once they return to their sport. From this equation, you can see that working on strength training (developing your ability to produce force), can help in increasing your power output. However, strength is only one part of what makes up power. You also need to be fast. Being powerful will allow you to be more explosive, letting you, run, cut, turn and jump with ease and more effectively. 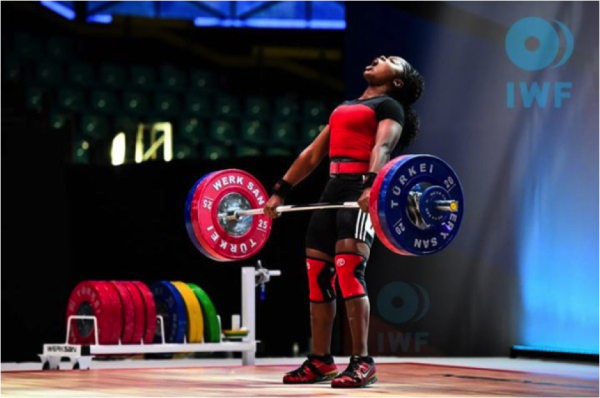 This is why Olympic weightlifting is such an awesome and effective tool for producing power. It combines strength and speed to produce power. 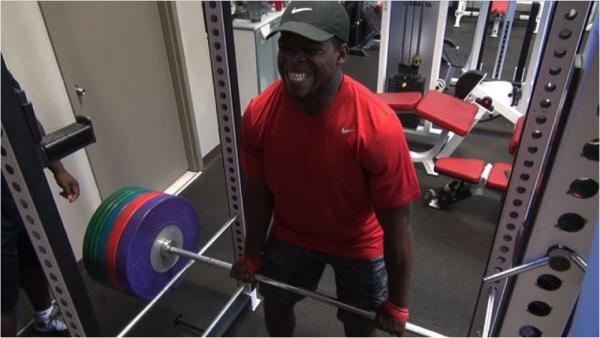 It’s no wonder why some of the most powerful athletes in the world are weight lifters and power athletes like football players and track and field throwers implement Olympic weightlifting as part of their programs. Some people like to say “why should athletes learn weightlifting if they aren’t weight lifters?” That’s like saying “why should athletes learn proper running mechanics if they aren’t track athletes?” See how silly it sounds when you apply it to running? 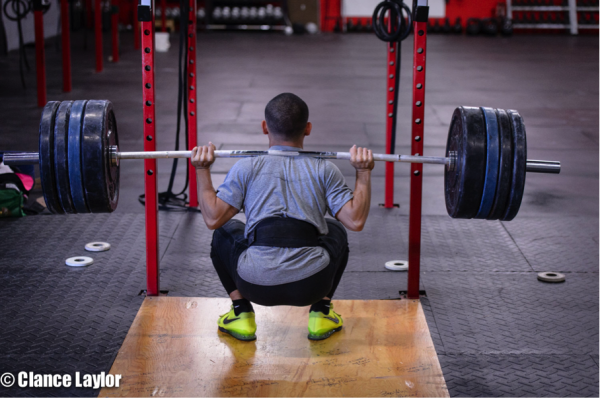 Weightlifting is simply another tool (a very effective tool I might add) to improving athletic performance, just as proper running mechanics are. A well-structured strength and conditioning program will have different components to it. Remember, a powerful athlete is both strong AND fast. Don’t get left in the dust. A leaner you can probably move faster than a “fluffier” you. Many athletes have claimed that they feel “lighter” and faster after dropping some pounds. This will of course depend on the sport you play and your position. For some sports and positions, being heavier is important and necessary (being a football lineman for example). This is no excuse to let yourself go though. If you fit into a particular weight class, if may be important to keep your weight up as well. On the flip side, if you’re a weight class athlete, and you generally weigh near the bottom of your weight class, you might want to think about going to the class below (if it can be done safely with enough time between competitions). This may allow you to be larger than most of the opponents you face in your class, giving you an advantage. Of course, getting lean will help to a point. If your weight is going down, but you are also losing an appreciable amount of muscle mass as determined by a BioSignature, you may want to re-evaluate what you are doing. Muscle is what moves weight, not fat, and it is often very important to maintain as much muscle as you can as an athlete. How do you get leaner? A proper overall diet suited to the individual and a good training program to match. I saved the best for last. Every single thing on this list can be controlled with effort. You can put as much effort as you can into getting stronger, more powerful, practicing the skills needed in your sport, dialling in your nutrition and training to get lean, and training in a full range of motion. Some people claim that they are limited by their genetics. This is true in some areas, but genetics doesn’t limit how much effort you can put into applying the other components on this list. The best athletes I know have a relentless work ethic. The big takeaway here is that many factors go into building athleticism. The best athletes I have seen do these 6 things, and they are all better athletes for it. 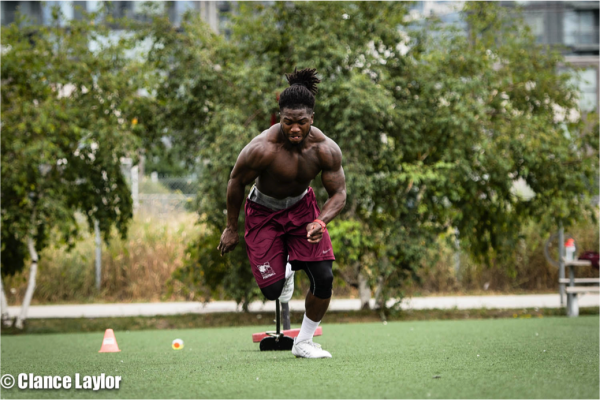 Are you a coach that wants to maximize the strength, speed and power of your athletes or are you an athlete that wants to take your game to the next level? Inquire about our Athlete Activation System which includes these 6 principles and is designed to maximize each athletes athletic potential. 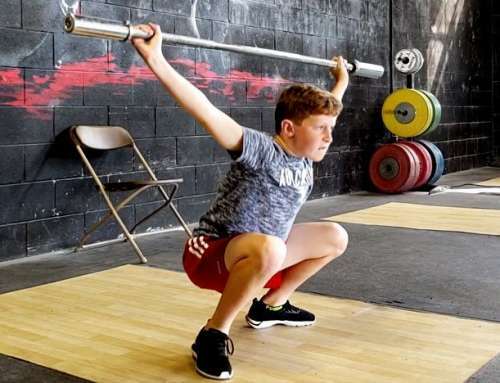 Is Weight Training Safe for Children?